The City of Mount Clemens has a long and rich history as one of the oldest cities in the State of Michigan. Mount Clemens was established in 1818. The City of Mount Clemens is 4.2 square miles in size and has a population of 16,314. In recent years, first time home buyers and newlyweds have been attracted to the tree-lined streets, induced by moderate housing prices, an award winning school district, numerous recreational amenities including sparkling Lake St. Clair and easy access to major metropolitan freeways. Lake Saint Clair is less than five miles east of Downtown which can be reached via the lake and the Clinton River. 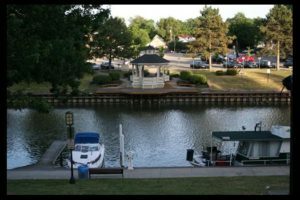 The Mount Clemens Municipal Marina is in the downtown area, on the Clinton River. Downtown Mount Clemens is home to over 30 events annually which are produced by various organizations. On average, these events bring over 150,000 visitors to Mount Clemens each year. Nearby amenities include Freedom Hill County Park and concert venue and Lake St. Clair MetroPark, one of the Huron-Clinton Metropolitan Park District parks.